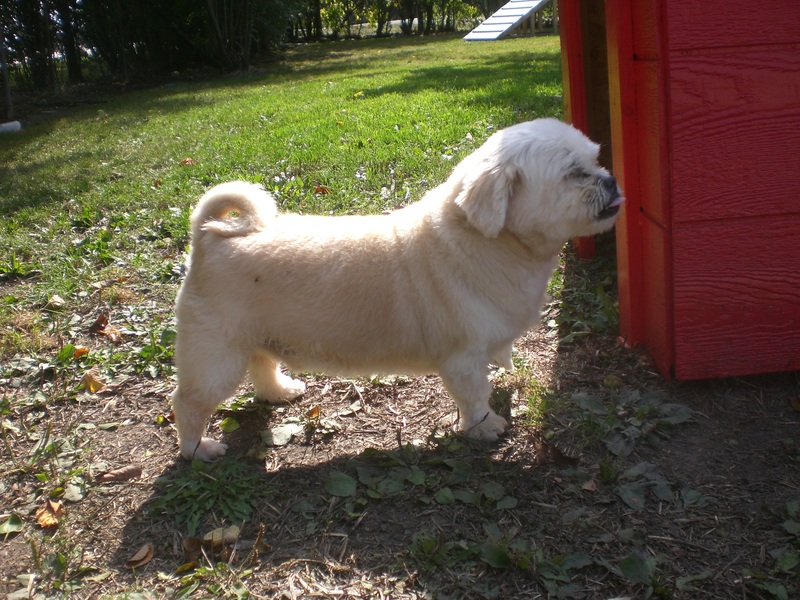 There have been lots of exciting dog adoptions at Orphans of the Storm® recently! Meet some more pooches who are eagerly waiting for their turn to find their forever home. Ginger the twelve-year-old German Shepherd mix is a beautiful girl. Don’t dismiss her just because of her age! She may be a senior dog, but she still loves to romp and sniff. We made our way to the off-leash run, where Ginger was happy to do some exploring and keep an eye on what was happening on the other side of the fence. 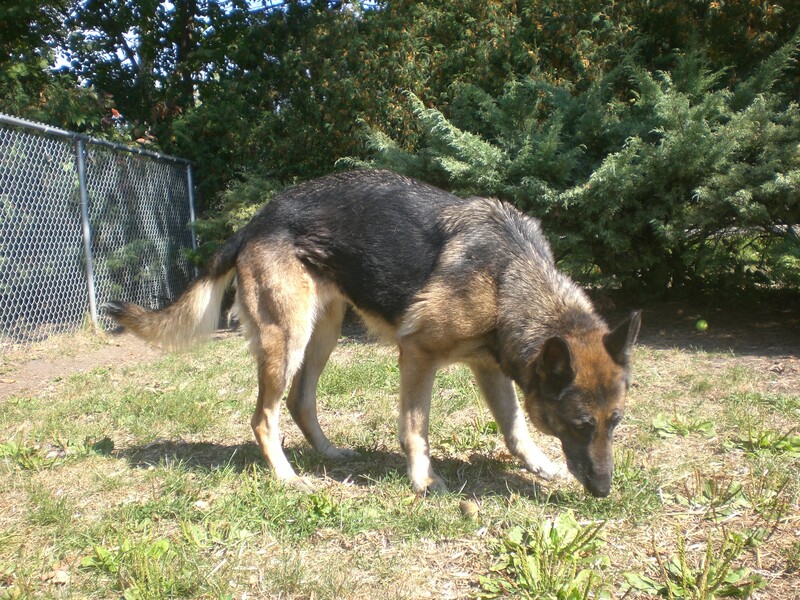 She has that unique German Shepherd gait that you see at dog shows, which makes her seem very fancy. Ginger is a big lovebug. After she had finished following her nose around the run, she saw me kneeling on the ground in front of her and came right over, resting her head against me while I scratched her back. She gave me a few “thank you” doggy kisses and after that, she stayed right by my side. What a loyal, loving companion Ginger would be! Is this sweet older girl the one for you? Come in soon to find out! 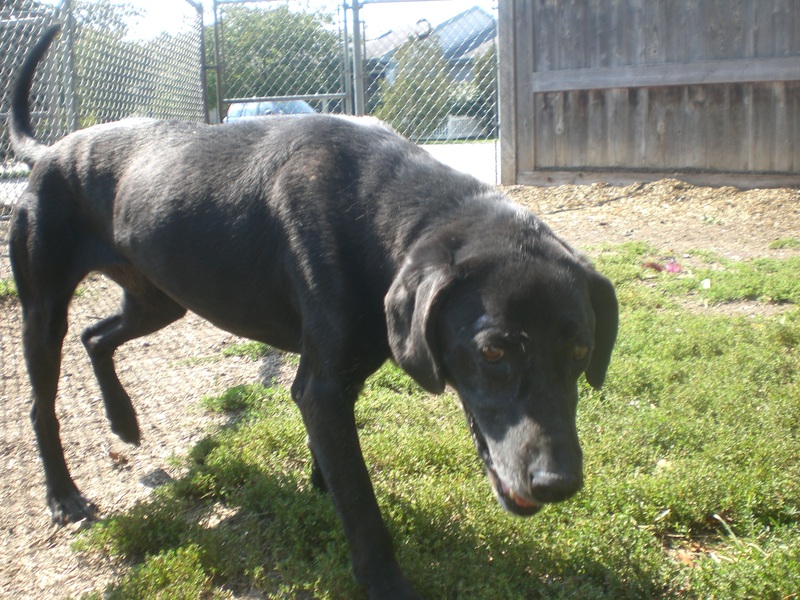 Maggie the seven-year-old black Labrador Retriever mix is one of the sweetest dogs at the shelter. (I say that a lot, and it’s always true, but Maggie really takes the cake!) Every quality that people love about Labs, Maggie has. Her tail is constantly wagging, she gets along with other dogs and people alike (she used to share her kennel with another Lab mix who has since been adopted), and she is full of affection. Maggie will cover you in doggy kisses whether you ask for them or not, and her entire body wiggles with happiness the whole time. She’s not very particular: noses, chins, ears, elbows, hands–she’ll kiss them all! 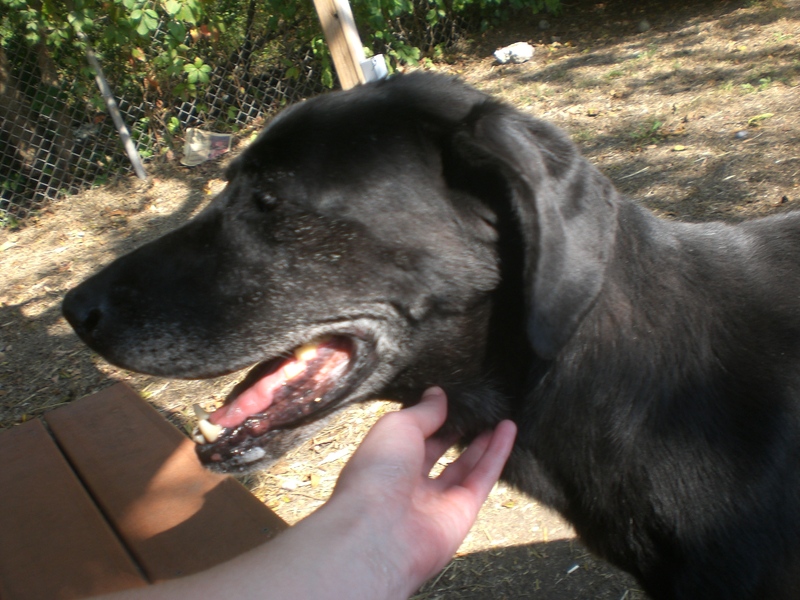 I’ve loved all of the older black Labs I’ve met at the shelter (like Brutus, who is still there! ), and Maggie has definitely found her place on that list. 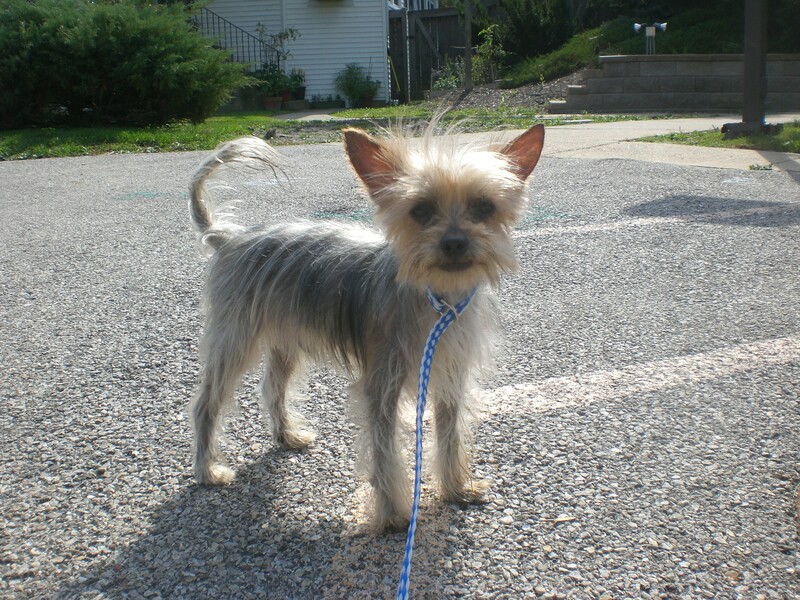 Once you take Maggie out, you’ll be sure to fall in love with her just as quickly as she’ll fall in love with you. 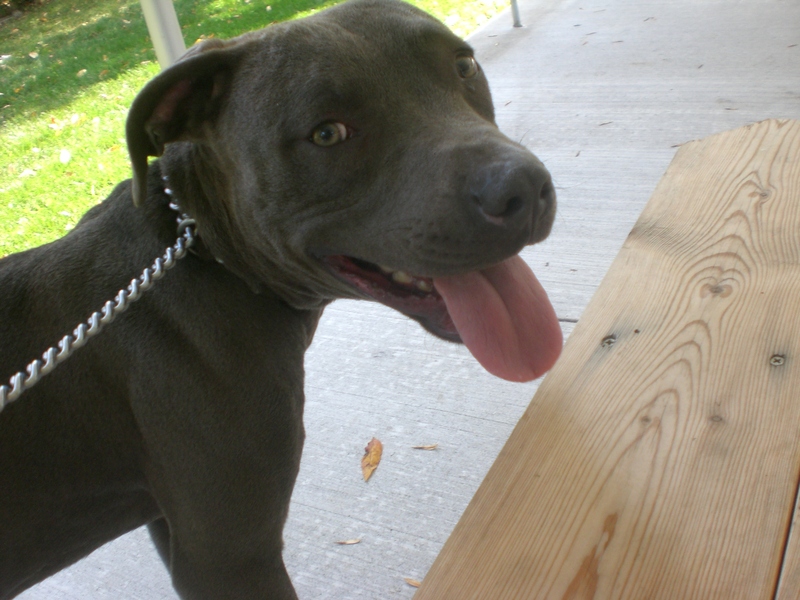 Blue the ten-month-old Pit Bull Terrier mix is a little (soon-to-be-big) cutie. He has a very appropriate name because of that special blue-gray color of his fur, which makes his golden eyes stand out even more. Blue is one of those dogs who looks like he’s smiling. When we first started on our walk, he would look up at me every few steps for some encouragement. He did much better on the leash than I was expecting from a puppy! Blue has a cute puppy face! 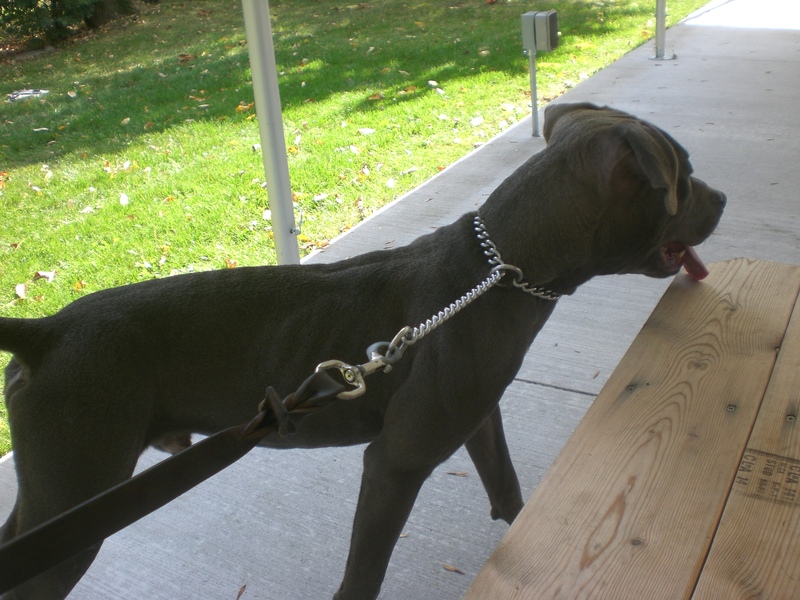 Blue is very strong, though, and he isn’t even fully grown yet. 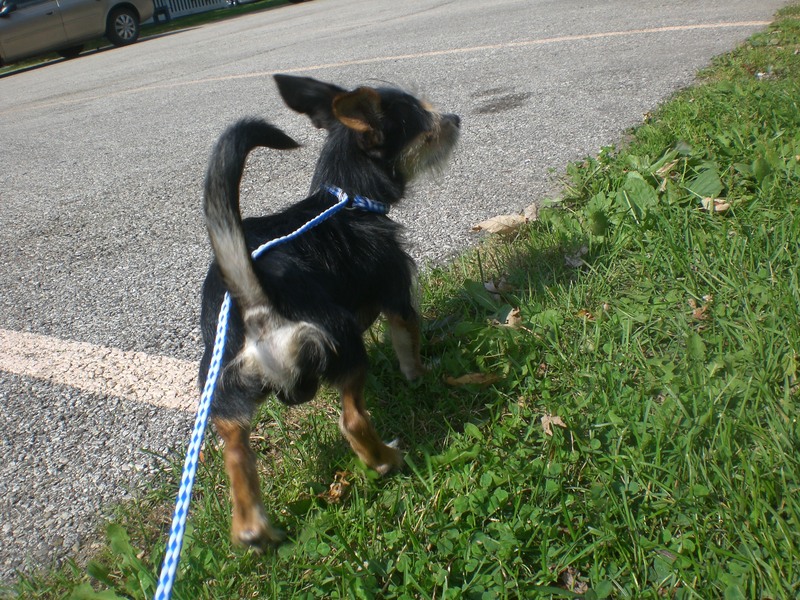 He will definitely need to go to a home that will take the time to train and socialize him. He was getting pretty excitable when other dogs were around, and he has to learn to be as calm as he is when there aren’t other dogs. When it was just me and him, he sat by my feet and enjoyed a good pat. Blue has all of the potential to be a great pet (just like fellow PBT puppy China! )–will you be the one to give him that opportunity? I mentioned Silver and Snickers a couple of weeks ago, but didn’t have pictures to go along with them–so, I was lucky enough this week to get a chance to take them out again! Silver is a six-year-old Yorkshire Terrier mix and Snickers is a two-year-old Terrier/Chihuahua mix, and they currently share a spot next to the front office. Silver isn’t ready for adoption quite yet, but you can certainly come in and meet him. He seems to be a little more on the timid side but has no problems being picked up and cuddled, as long as you’re gentle about it. He’s so tiny! If you’re looking for a lap dog, you can’t find one more appropriate than little Silver. Snickers is a little more on the rambunctious side. When I first took him out a couple of weeks ago, he had springs for legs! He jumped up into my lap and jumped back down to the ground in the blink of an eye. When I took him out this week, he was the one who decided where we would go on our walk. But he, like Silver, certainly enjoys cuddle time. 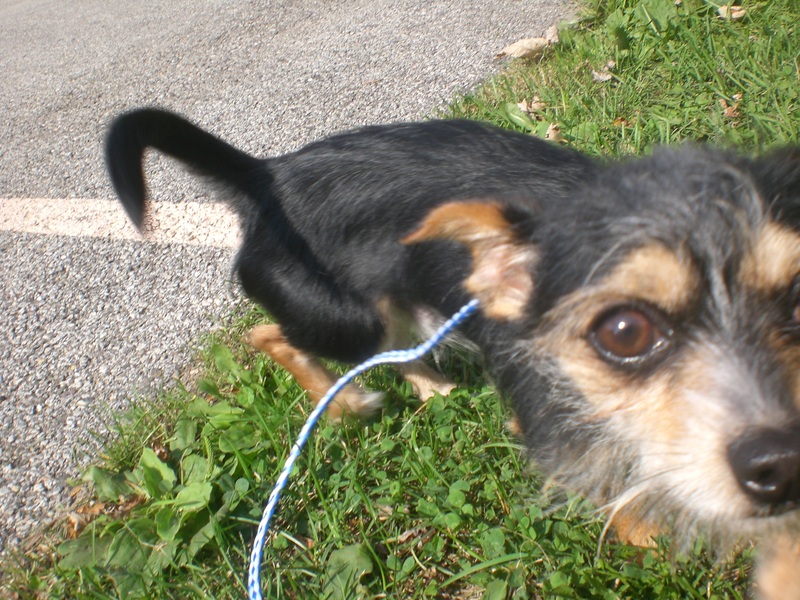 And Snickers was ready for his close-up! 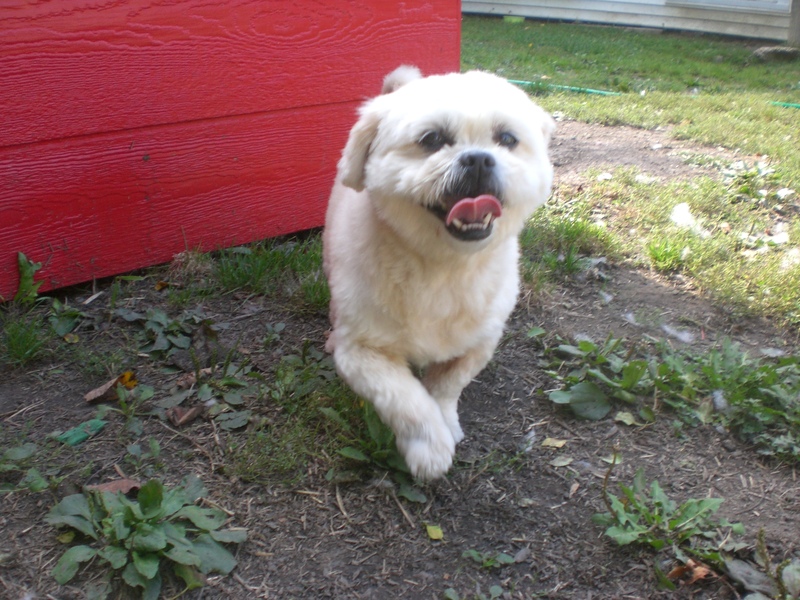 Willow the six-year-old Lhasa Apso/Pekingese mix is another dog you can find right next to the front office. He doesn’t seem to be as yappy as some of the other small office dogs; he’s pretty laid-back. Willow has one of the cutest little faces and the cutest waddle-y walk. His fur is super soft, which is great for whoever is lucky enough to bring him home and snuggle with him all the time! 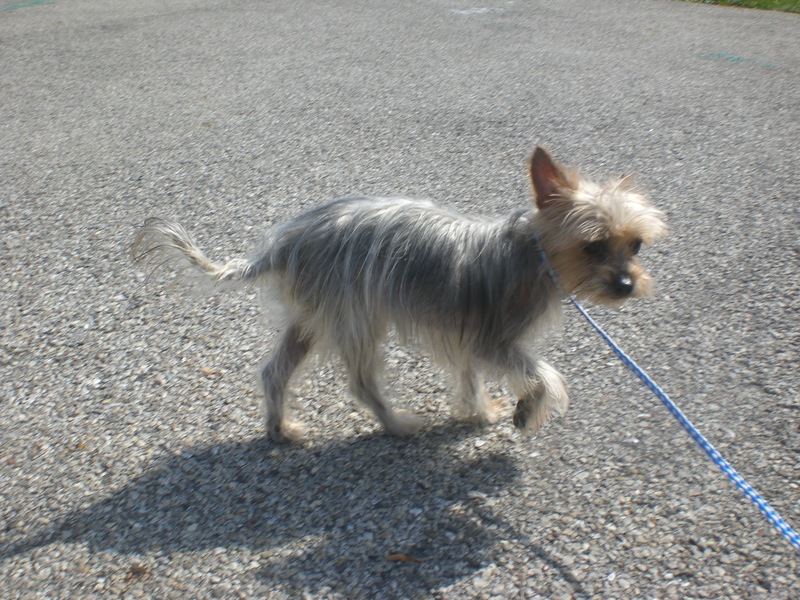 Willow was an excellent leash walker and also enjoyed scampering around off-leash in the run. He likes to sniff everything but was a little hesitant about the doggy pool we had just filled up (I’m not sure he has quite the body of a swimmer, anyway). Spending time with Willow made me smile, so just imagine all of the smiles he will bring to your life if you’re the one to bring him home! This week I also spent some time with Akiva (who absolutely loved splashing around in the doggy pool! 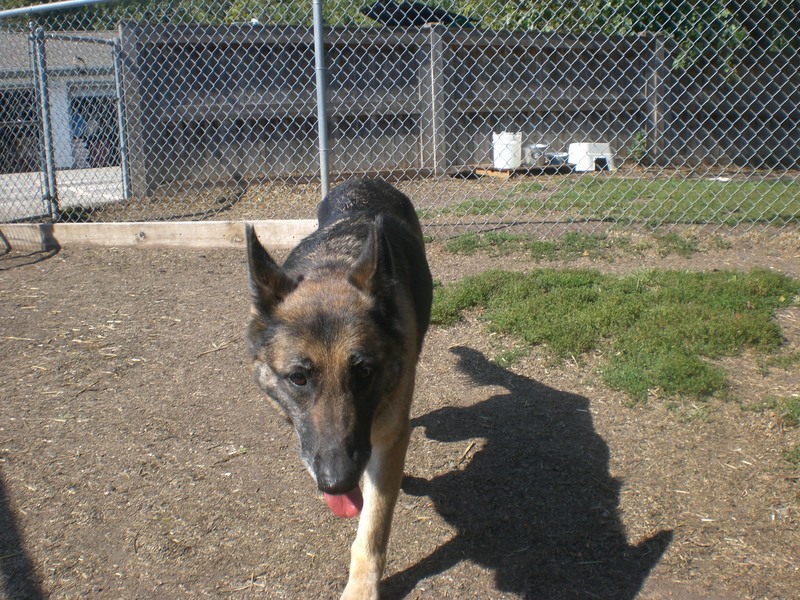 ), Rock (who loves to play fetch and chew on tennis balls! ), and kennelmates Jade and Hugo (who are both very lovable!). If you’re looking for a fun fall outing that you can enjoy with your pet, check out WoofFest 2013 on Saturday, October 12. Orphans of the Storm® is one of four local animal rescues involved, and we’d be thrilled to see former Orphans dogs there with their new families! Posted by Meet the Pooches on October 3, 2013 in Dog Profiles and tagged adopt, animal shelter, animals, Chicago, Chihuahua, dogs, German Shepherd, Labrador Retriever, Lhasa Apso, Orphans of the Storm, Pekingese, pets, Pit Bull Terrier, Terrier, Yorkshire Terrier. Where is this dog you call Blue. He looks alot like my dog that was stolen from me. I can send you some pictures. I’m sorry about your dog! Blue was adopted more than 4 years ago, so I’m afraid I don’t have any additional information about him. I hope you are able to get your dog back!